So I found this ant under a rock near a different species of ant which seemed to have made their home under the rock, where as this ant in question looked to be trying to take shelter under the rock. Today is really humid so I assumed there may be some nuptial flights today. 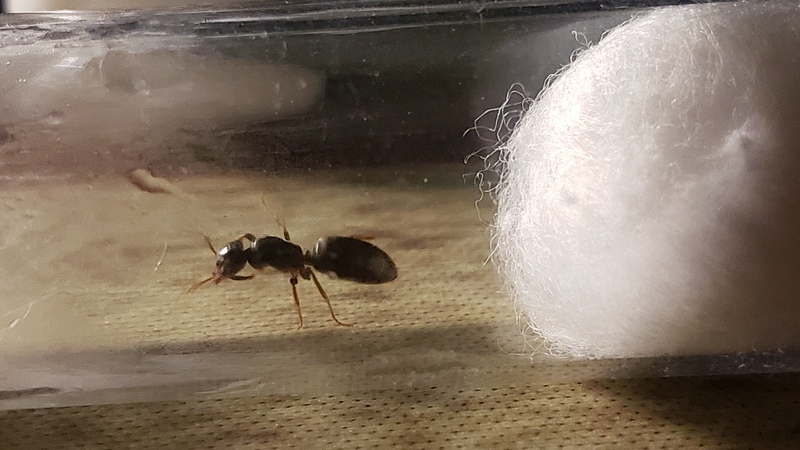 This is the only ant I caught which seems to be a queen, it looks to have wing scars, but I can't be sure. Good job! You caught an ant queen. I’m not sure what genus though. Edited by JenC, April 13 2019 - 12:39 PM. I would guess she’s a parasitic Lasius. That’s the bad news. 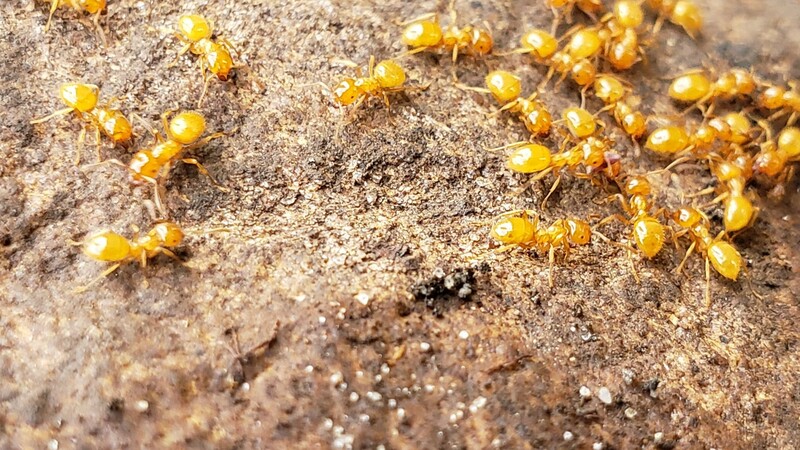 I found her under the rock near a nest of these ants. What would the care/keeping entail if it is a parasitic queen? 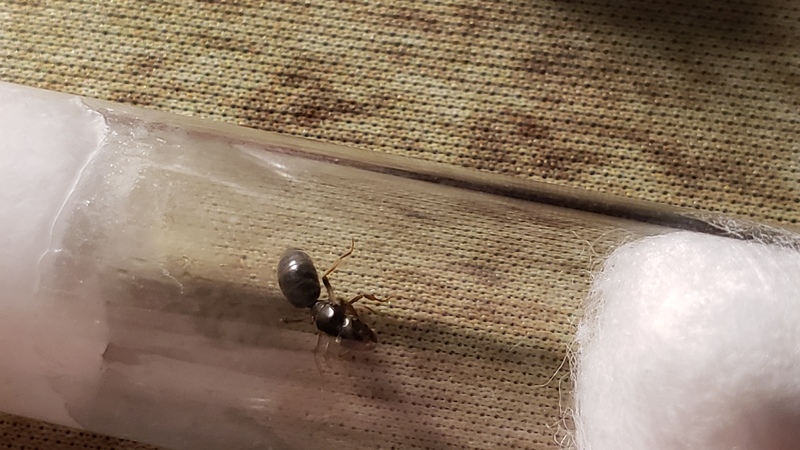 These are my 2 guesses based on Lasius species that are found in New Jersey. You would need to provide her with host workers in a tricky process. The best case outcome would be ending up with a few of her own slow growing workers that aren’t really suited to captivity. I did some research, and I am going to attempt to introduce some host workers tomorrow in a tubs and tubes setup. Also I was talking to someone else and they are fairly sure the ant queen is a Lasius claviger. Yeah, that's an L. claviger queen.